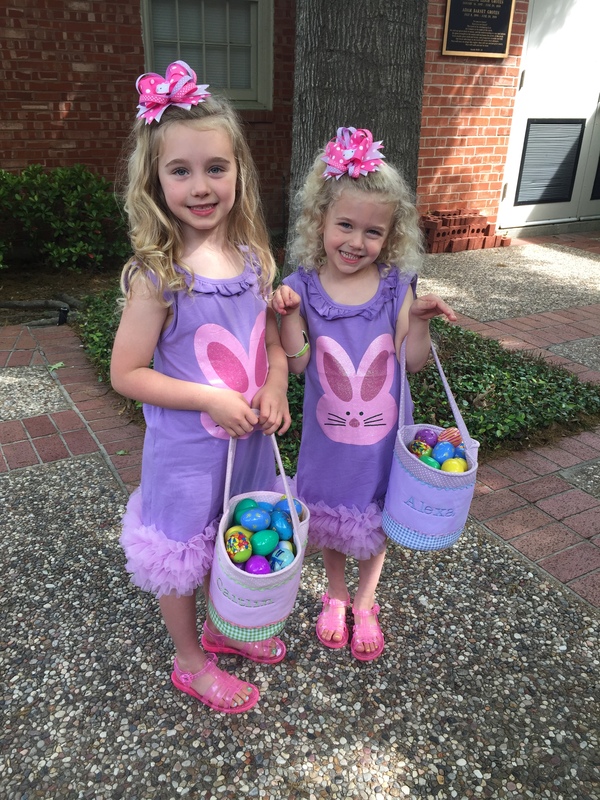 Grab a basket and join us for our annual Easter Egg Eggstravaganza! We will be having a morning filled with free breakfast tacos and pastries, craft stations, the Easter story and of course our big Easter Egg Hunt. You don’t want to miss out on the fun! Thank you for baking and donating to “Together We Rise.” The children raised $353.85 by selling bookmarks and $600 at our Spring Luncheon bake sale! Our total amount raised was $953.85, Glory to God!! We nearly doubled our fundraising goal amount. THANK YOU to each of you that took time to bake and to also give to our cause. Thank you to Donna Moye for introducing us to the “Together We Rise” non-profit and thank you to Czarena Siebert who headed up the missions project and put together the bookmark fundraiser. We are so grateful to these wonderful 3rd/4th grade Sunday School teachers! Join ROBC on a wild safari adventure as we help children to zoom in on Jesus, through snapshots through Scripture! We are in for a fun and wild ride at our VBS 2019 “In the Wild”. Contact Michelle at mrichey@robc.org for more info! Registration period is February 4 - April 30. We're welcoming all kids from ages 3 years old to Kindergarten to join us for a brand new experience in worship and learning more about God's love. 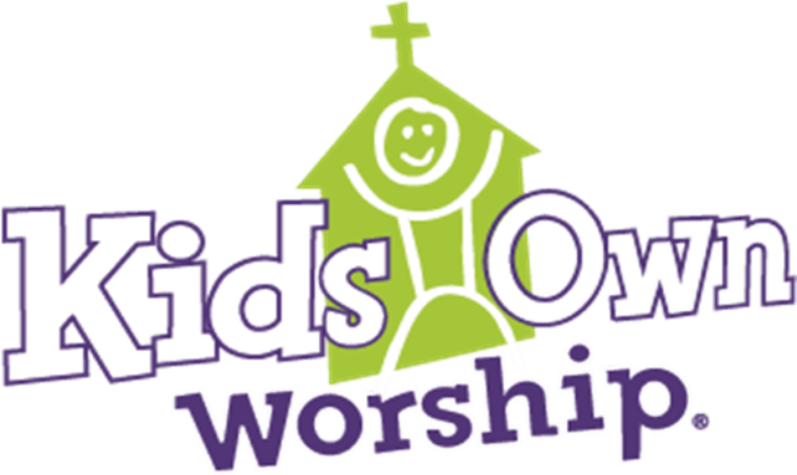 Children 3 years old to Kingdergarten leave with Ms. Sondra & Mrs. Mitch from the Sanctuary at 10:20 AM to Fellowship Hall (FH-B) for their own worship time. 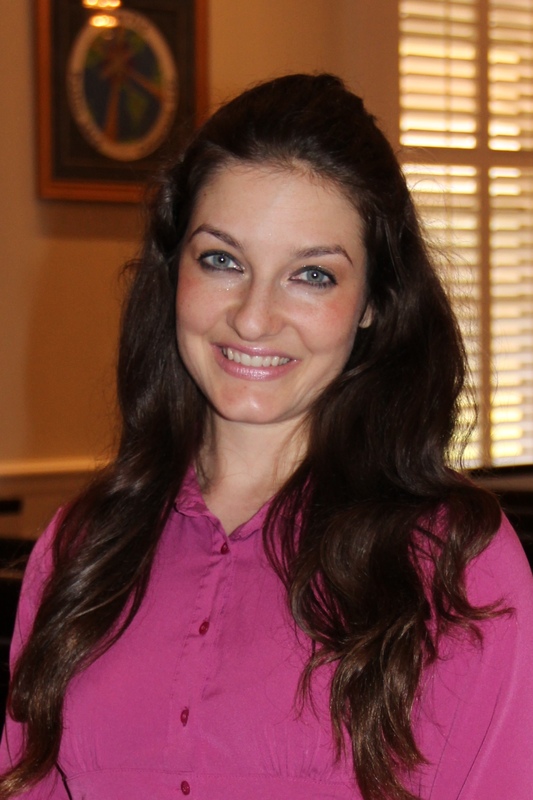 Welcome to the children’s ministry at River Oaks Baptist Church! We are a loving church that welcomes all children with wide, open arms. One of the goals of our ministry is to plant the love and word of God in the hearts of every child. As we walk alongside them in discipleship and prayer, our goal is for all of our students to make Jesus their Lord and Savior, choosing to one day participate in believer’s baptism. We work towards this goal by using tools such as interactive and fun-filled Bible lessons in our Children's Church and Sunday School classes, Bible Drill, choir and other seasonal activities. I hope to carry out the vision of equipping our children to become disciples and worshippers of Jesus Christ, to one day boldly spread the good news of the gospel to their generation. Would you join us Sunday mornings to see what it’s all about? We would love to have you! 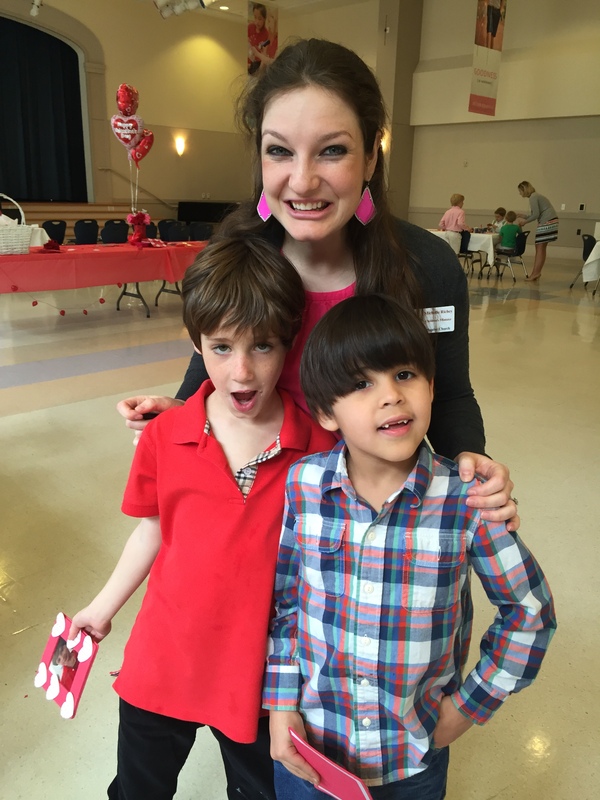 On a Sunday in mid-February, the children make Valentine crafts in various stations during our party in the Commons during Children’s Church and Sunday School. There is a fun time in store for the children as they take part in crafts, games, lessons and a story telling time that teaches us of the love of Jesus. You don’t want to miss out on this memorable party! The Saturday before Easter Sunday is when families come for brunch and fellowship time. During our beautiful weather in April, we eat in the courtyard outside the Commons Dining room. Afterwards, the children gather to hear the story of Easter, with books and visuals to help teach the message. Then we hunt for eggs on the playground! Teacher Rotation: Jeanie Arnold, Sarah Bell, Chandra Bonine, Carrie Hodges, Bola Iyari, Joselyn Leal-Vargas, Donna Moye, Czarena Siebert and Katie Stanton. The second week in June is when we gather for our annual VBS. Each year has a different theme to teach children the importance of God's love and the Bible's stories. ROBC goes ALL OUT with decorating the chapel! 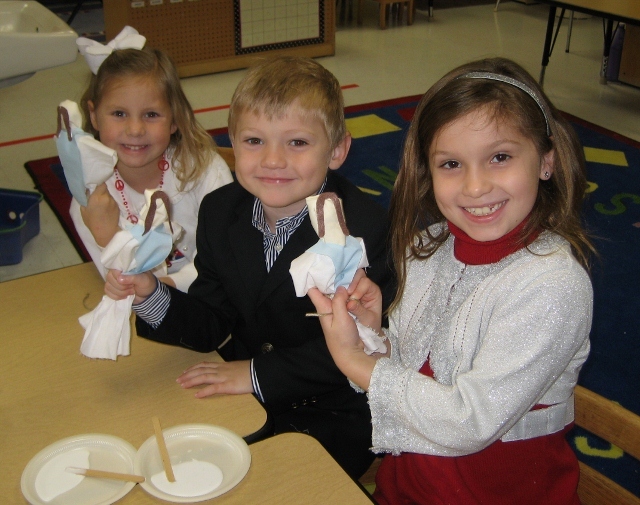 We always welcome non-church members in addition to our own ROBC children. One Sunday morning in December we organize a fun, and Christ centered party for the kids. A craft project is provided for them to make that coincides with the Christmas message, and then follows with a pizza lunch and yummy Christmas treats!